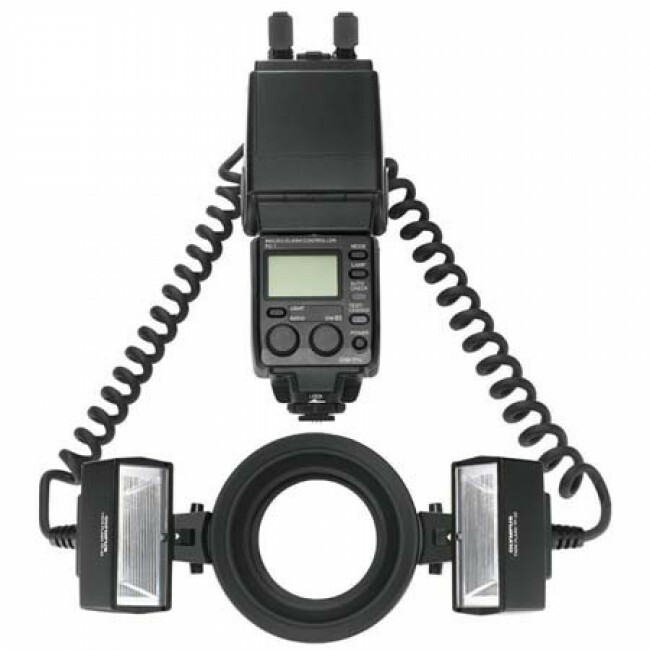 Olympus STF-22 is a twin flash system created for dedicated macro photography and other scientific purpose. The two satellite flash head can be positioned as per need. Moreover user can independently set the amount of flash power released once they fire. This gives the control over shadow to reveal object detail. The set has two TF22-11 flash, a Flash controller and a SR-1 ring. An optional adapter ring FS-FR-1 is need for using it with macro lenses. Check your lens before purchase to make sure it fits right. Left-right light intensity ratio You can adjust the ratio between their light intensities with 1/3 EV step.Left-right ration 1:8 to 8:1One-side flash can also be fired.